Our plastic and cosmetic surgery clinics perform hundreds of cosmetic and plastic surgeries per year. 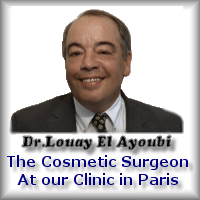 Our plastic and cosmetic surgeons are highly qualified and fully registered in France as Cosmetic surgeons. 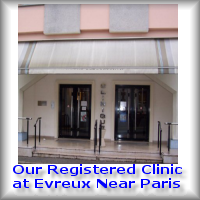 No hidden charges with English speaking cosmetic Surgeons, Nurses and World-class cosmetic surgery abroad in our clinics in France are comparable with any clinic available within EU with probably some of the best plastic and cosmetic surgeons. The facilities each our plastic surgeon work in providing the most modern and advanced equipment and procedures available. Free initial consultations and short cosmetic surgery booking period with Immediate response to all of your queries and concerns, answered within 24 hours. Laser Clinic (France) Ltd has selected for you a group of Plastic and Cosmetic Surgery Combinations. The most popular plastic and cosmetic procedures have been put together in special packages tailored according to your needs and aesthetic desires. With our Low prices, you will have access to probably the lowest priced cosmetic surgery available in Europe. For example, combining breast augmentation and abdominal liposuction procedures into a single operation results in a better-proportioned body that could be achieved by either surgery alone. You will have one cosmetic surgery procedure and recovery period. The advantage of combining the procedures decreases your total expenses if you are planning on having both procedures performed at the same time.